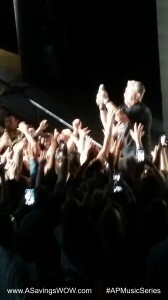 Rascal Flatts Concert | A Savings WOW! Disclosure: I received a free tickets to the Rascal Flatts concert from the Illinois Lottery in exchange for writing a review on the blog. 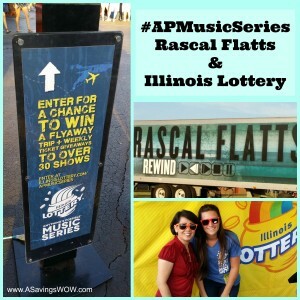 We had so much fun attending the Rascal Flatts concert, courtesy of the Illinois Lottery, as part of their Anything’s Possible Music Series (#APMusicSeries). Since we aren’t taking any out-of-state vacations this year, this was a perfect “staycation” for us, as well as a long-overdue date night. 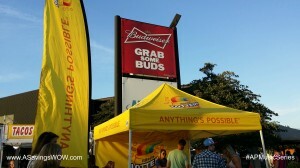 Once we arrived at the First Midwest Bank Ampitheatre in Tinley Park, IL, one of the first things we saw upon entering the gate was the Illinois Lottery tent. There, we were able to purchase lottery tickets, plus they had a special game we could play for a chance to win prizes if we purchased a certain number of tickets. Lucky for me, one of my lottery tickets was a winner! I won $4, enough to cover the tickets I purchased. I just knew it was going to be a good night! Because of the amount of traffic heading into Tinley Park, we missed the first opening act, which was Gloriana, but we were able to catch Sheryl Crow. She did not disappoint. Jim and I made sure to take a selfie to commemorate our first date night in over a year (since his stroke last year). 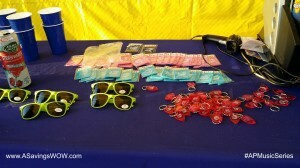 It was our first time at the First Midwest Bank Ampitheatre and we were very impressed. Our tickets were on the Illinois Lottery’s Anything’s Possible deck, so we had a good view of the stage. We were under a covered area. We also liked the fact the parking is free. My only suggestion would be to give yourself plenty of time before the concert to get in because with the traffic on the exit ramp and then entering the parking, it was almost twice the estimated arrival time on our GPS. If you’d like the chance to win a flyaway trip to a Live Nation Show and $5,000, you can enter at one of the #APMusicSeries concerts throughout the Chicago-area this summer, or you can visit the Illinois Lottery’s website. They’ll also be at different festivals and locations throughout the summer, so keep your eye out for the Illinois Lottery’s tent and stop by!